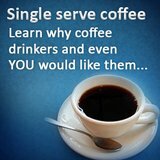 People that look for breville espresso machines are coffee lovers that loves their espresso and is not afraid to get their hand dirty. 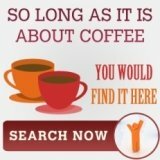 So if you like a coffee machine that produces high-quality and perfect coffee in a short period of time, then you should take into account purchasing Breville espresso machines. Basically, there are three Breville espresso makers that work best for you if you really love coffee and espresso beverages. 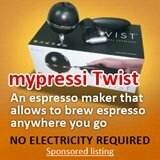 To begin with, you may want to consider the Fresca Espresso Machine by Breville. The Fresca Espresso Machine with its built-in dosing control and conical burr grinder helps bring the best possible path for coffee beans to espresso in less than a minute, and ensuring a thick and smooth crema. The measured dose is delivered directly into the coffee filter to maximize flavor. According to expert, the most excellent flavor from an espresso is to utilize fresh coffee beans that are ground and used without delay. Luckily, this Fresca espresso machine works in this way.Another espresso machine from Breville is the Professional 800 Collection. The Professional 800 Collection has a custom set programming, best brew procedure and an excellence pressure gauge that helps brings out the perfect crema. It features a 15-bar pressure pump, advance dual wall crema system, hot water wand and swivel steam wand. The advantage of using Professional 800 Collection is its warranty which covers two years for the product and five year warranty for the pressure pump. This means, you will take full advantage of using the product for two years and the pressure pump for five years for free. So you no longer need to worry about the machine since it has a long year’s warranty period. The last espresso machine on the list is the Breville Cafe Roma. This Café Roma by Breville espresso machines features a 15-bar pump pressure and an advanced crema system. In fact, with these features makes this unit a perfect espresso machine for every coffee aficionado. Not only that, this Café Roma also features a detachable water tank, jumbo cup warming plate and swivel steam wand, making it a perfect espresso machine for office or home use. The good thing about Café Roma is its price which is very affordable and will only cost you two hundred dollars and below. With this price, you can already experience the different flavor and taste of all gourmet coffee at the comfort of your home. 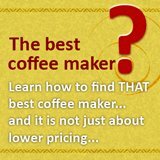 So in summary, if you are looking forward to purchase espresso machines, then don’t forget to consider these espresso machines by Breville Company. 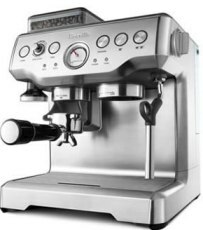 If you are not interested in this, you probably would not be interested in breville commercial espresso machine, you might need something simpler (check the link to find out more).